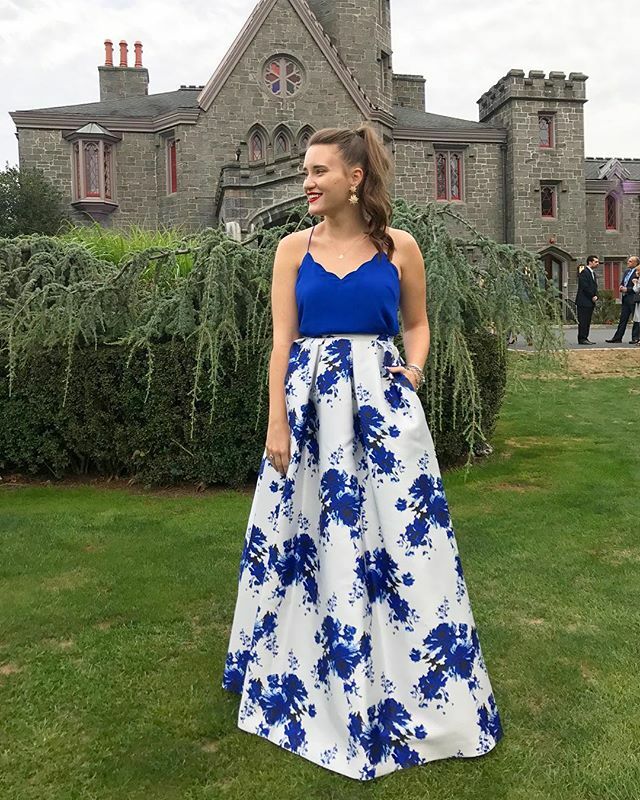 This was my look for the wedding last Friday! This exact skirt isn't online but has different colors HERE, HERE, HERE and HERE. Top is from J. Crew and the earrings are BaubleBar! Hope you guys had a great week! Reading: JUST last night finished Behind Closed Doors. I totally get what you guys saying about how crazy it is and I was literally on edge any time I read it. I've never had that kind of physical reaction to a book before!! NYC Life: LOL I guess it could go under here since it is apart of "life" but if you caught my IG story from last night you know I bought THIS rug and Andrew and I had difficulty agreeing on a place in the apartment to put it. The struggle is real y'all! I so badly want to keep this in the kitchen but the roomie says no. Like what does that even mean. Weekend Plans: Surprisingly none which I'm very happy about! I know I do need to list items on my closet to sell to be sure to be following for when I post! Most Popular Item This Week: This NYC Sweatshirt!